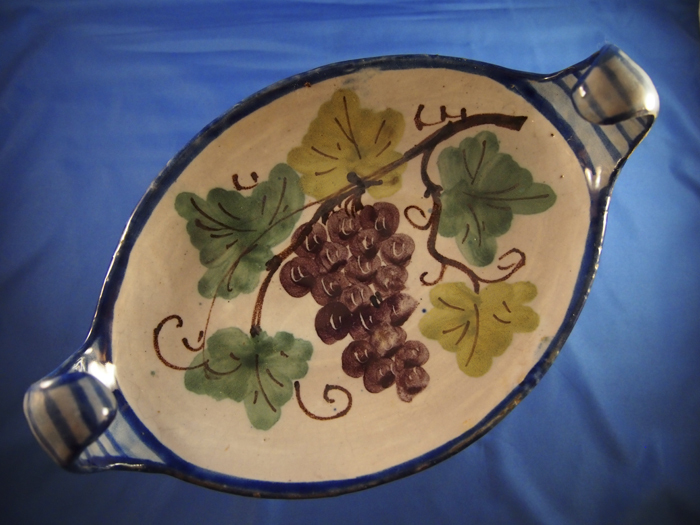 Hand painted serving dish. 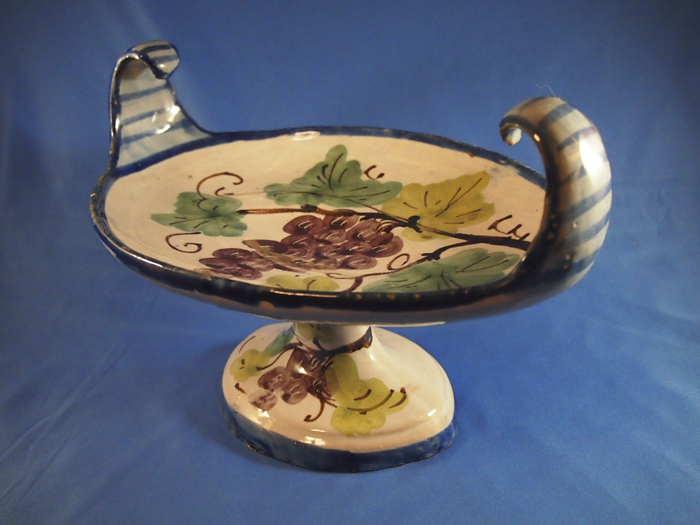 The dish is set atop a pedestal and has curled handles on each side. 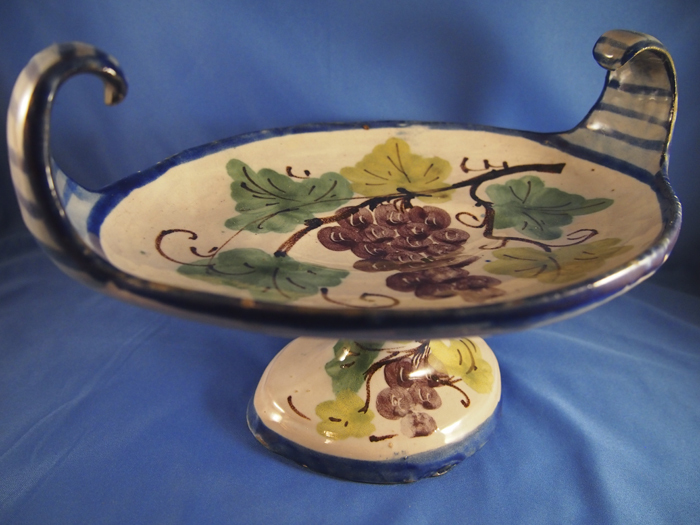 The grape and leaf design continues on the base. The rim and handles have a blue band around the circumference. 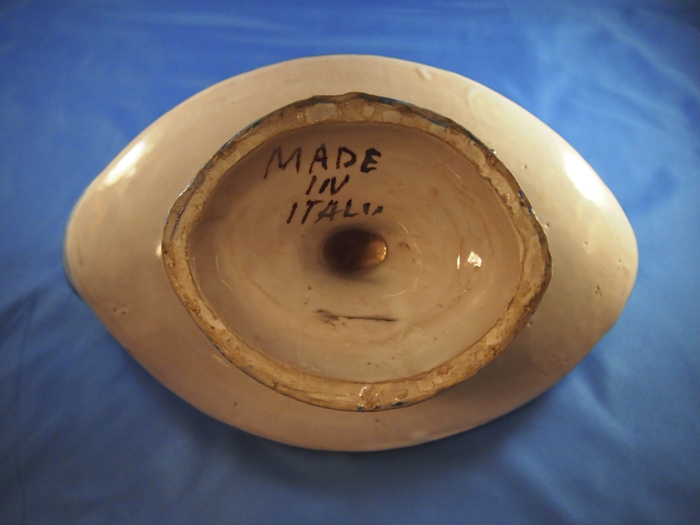 Signed “Made in Italy” with no other makers mark. 10 ½ “ wide, 4 ½ “ high. 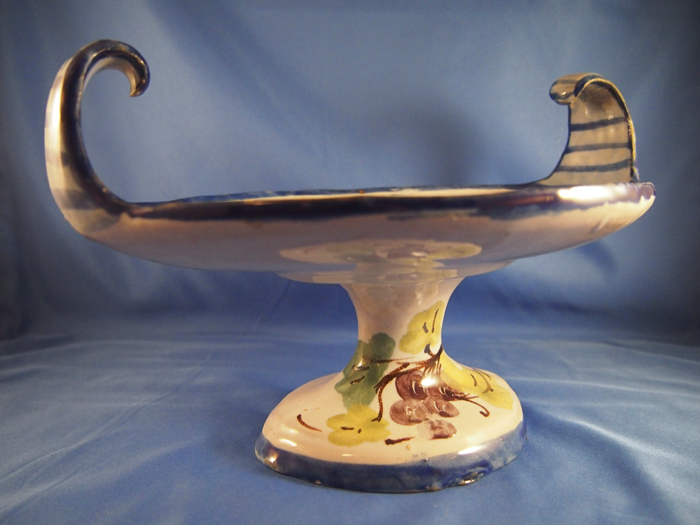 The base of the pedestal is 5 ¼ “ in diameter. Excellent condition.